Our primary goal is to help budding business owners starting their journey. Just some of our daily priorities, each designed to liberate you a little more! Priority given to clients products at all times to ensure diligent picking/packing. Priority given to the safe & effective record keeping of all our clients data. Priority given to the provision of ongoing support for all clients we work with. Priority given to timely management of all inward & outward communications. CREATED FOR ALL BUSINESS SIZES, SMALL OR LARGE. Lucas Arthur Pty Ltd was created to fulfil the needs of many small to medium businesses that wanted/needed a warehousing, storage and 3PL facility. - Businesses unwilling to commit to lengthy minimums. As a result, we welcome the above with open arms as we were once in the same shoes as you :) - Our goal is to help you through your startup phase, your growth and develop a long term mutually beneficial relationship wth our clients. Ultimately, we become an extension of your family/business with lower costs than operating your own warehouse or staff. The 3PL space introduces us to many different businesses with many varying requirements, it is our goal to cater to each client individually to ensure we have an offering to suit. This can be tricky, although it allows us to get to know you and to become a core component of your offering from order placement to final fulfilment. We manage your inward bound stock including Container Management, Courier Deliveries, Drop Offs & any other daily inbound stock management required. Includes reporting of stock movements. 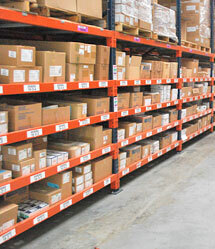 Identifying a GAP in the market, we offer storage & warehousing solutions to a wide variety of clients. From home based single operators to large multi nationals that need offsite fulfillment centres. Along with managing your storage, we also offer Picking & Packing services to fulfill your daily orders. This is back and supported by our own freight contracted suppliers. Working closely with our existing clients, we have begun to work closer with our online merchants who have a need for higher levels of service& communications & through this we are proud to support eComm whole heartedly. Rest assured our expertise in tracking, reporting & assisting you in the administrative aspects of your business is a primary goal of ours. From stock, movement & sales reports there is never too little for us to focus on. All proposals are tailored to your needs. Working with a few clients, we have established a core business that has the ability to expand a the need arises. Whether it be administrative or warehousing, we have a turn key solution to be ready with extremely short notice from our clients. With an ever growing demand on remote operators, we are also in a position to be an extra arm in your sales force. From answering calls, emails or eBay related queries we can have you covered. With vast experience in Logistics & Warehousing, we are able to give you access to our existing network of contacts. This ranges from Freight (local & international), Customs, Banking/Finance, Insurance, Real Estate & much more to help with your daily business needs. As our goal is to work closely with startup and smaller operators, our OPEN COMMUNICATIONS policy is imperative. Pick up the phone, we'll answer. We have never worked with a service like this before and was quite apprehensive, although its quite reassuring that everything the web site promised has been delivered and more.. For us, the most important aspect has been growth and the ability to flex labour and resources as our needs rapidly grew. Sometimes we are overflowing with stock, with simple requirements and no matter how large or how small the request is of Lucas Arthur Pty Ltd, every one is greeted with the same care and focus. Making it a pleasure to deal with them on a daily basis. It feels like they are a part of our family, understanding our products and our intricate needs as if we had worked together from the start of our business. And supportive, oh my, nothing is too hard for them. Understanding this can be daunting, we welcome your email or call to discuss a tailored solution.